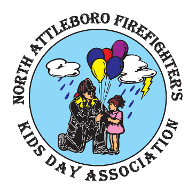 THE KID'S DAY Touch-a-Truck will be HELD on SUNDAY July 28, 2019 FROM 12-3pm ON THE FIELD AREA. If you would like to participate please USE THE CONTACT US BOX TO THE RIGHT! We would love to have all types of vehicles and equipment there for the Kids!